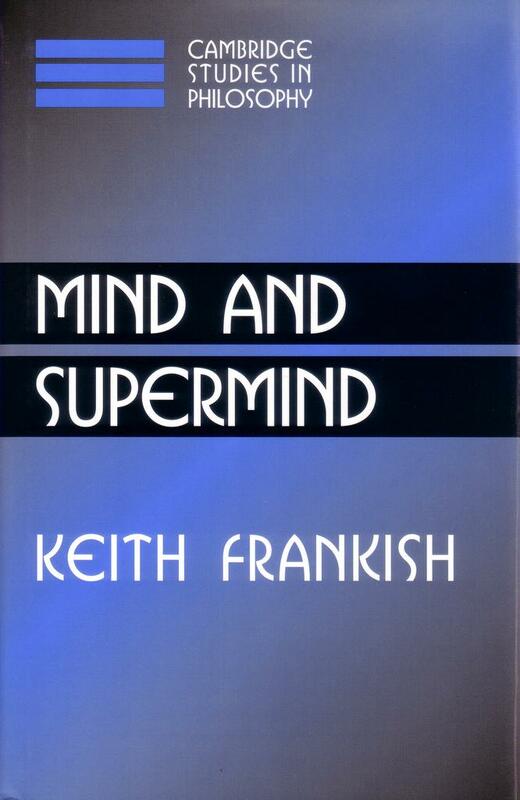 Mind and Supermind offers a new perspective on the nature of belief and the structure of the human mind. Keith Frankish argues that the folk-psychological term ‘belief’ refers to two distinct types of mental state, which have different properties and support different kinds of mental explanation. Building on this claim, he develops a picture of the human mind as a two-level structure, consisting of a basic mind and a supermind, and shows how the resulting account sheds light on a number of puzzling phenomena and helps to vindicate folk psychology. Topics discussed include the function of conscious thought, the cognitive role of natural language, the relation between partial and flat-out belief, the possibility of active belief formation, and the nature of akrasia, self-deception, and first-person authority. 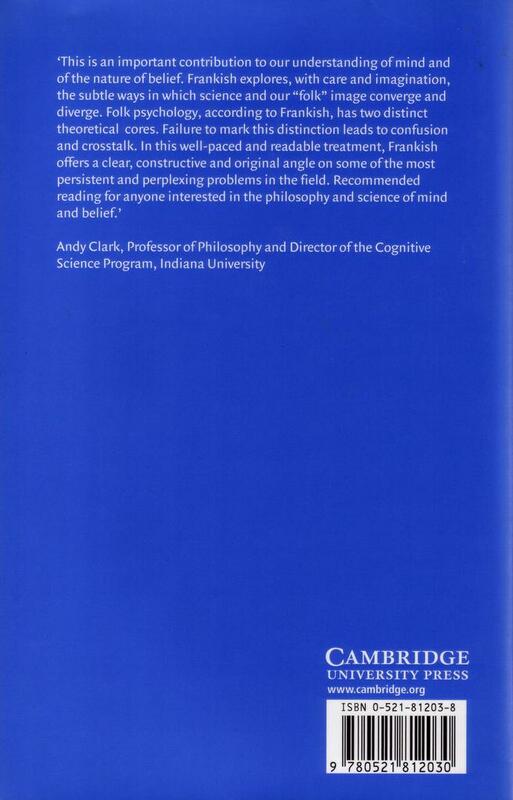 This book will be valuable for philosophers, psychologists, and cognitive scientists. Click this link for a more detailed overview of the book. — Josefa Toribio in The Philosophical Quarterly, vol. 57 (226), Jan 2007, pp. 139-42. Read the full review. — Andrei Buckareff, Philosophy in Review, vol. 26, 2006, pp. 254-56. Read the full review. — Dominic Murphy, Notre Dame Philosophical Reviews, 2005.10.20. Read the full review. There is also some discussion of the book on Eric Schwitzgebel’s blog The Splintered Mind. See the posts here, here, and here. The last of these contains my reply to Dominic Murphy’s review above.